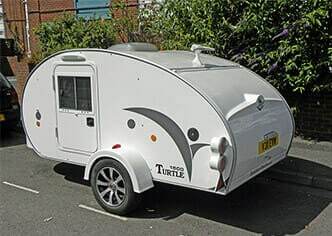 Find the perfect teardrop trailer for your next camping trip with our guide to these small camper trailers. 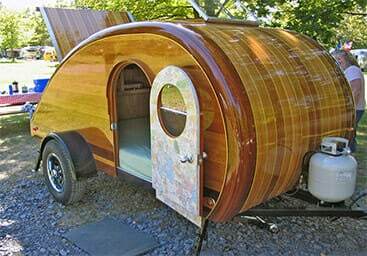 Teardrop trailers are making a comeback. Lightweight, comfortable, and practical, they’re one of the best small travel trailers available. In today’s post we recommend some of the best teardrop trailers on the market right now. We cover off road teardrop trailers, luxury campers, and also the top budget trailers. We start the post with an introduction to teardrops, and a list of reasons why we think they’re great. If you’ve heard it all before then jump straight to our teardrop recommendations. Why should I get a teardrop trailer? A teardrop trailer is a compact and lightweight travel trailer, that gets its name from the teardrop shape that it takes. Most have sleeping space for two adults and include a kitchen area at the rear. Teardrops were hugely popular in the 1930s after popular magazines published DIY plans. The fact that these trailers are so small and lightweight, meant that they could easily be pulled by the less powerful cars of the era. Teardrop trailers continued to prove popular with the weekend camper until the 1960s when they fell out of favor and disappeared from the mainstream. As cars increased in power and speed, so did the size of the campers that they could tow. The teardrop trailer gradually faded out as campers became accustomed to towing huge trailers and driving RVs. Thankfully, in recent years they have made a resurgence. This is in part due to the reach of the internet. Teardrop communities have flourished in the digital age, as trailer plans are now immediately available to the masses. However, the power of communication isn’t the sole reason why tiny campers are making a comeback. With gas prices increasing all the time, and a population that is becoming more environmentally conscious, economical teardrop trailers have eventually found their market once more. Most teardrops weigh less than 1000 lbs, which means they can be towed by a mid-sized family car. That means no need for gas guzzling SUVs. Furthermore, they have very little impact on the environment. They allow you to live “off-grid” in a natural and more environmentally friendly way. Craving the freedom to travel off the beaten path? A teardrop trailer could be just the answer. Teardrop campers fit a special place in the market, and are increasing in popularity because of this. These are the reasons why teardrops are special. They’re much cheaper than an RV. Looked at RV prices recently? A teardrop trailer costs a fraction of the price of a large RV. Furthermore, you could even build it yourself. Teardrops start as low as $3000, which is pretty remarkable for something you can call “home” when you’re on the road. Since they are so lightweight, they don’t require a powerful car like an SUV to tow them. In fact, they can be towed by most cars. As they have little impact on fuel efficiency this makes them a much more economical choice than an RV. While saving money on gas, you can also limit your impact on the environment. Most teardrops have a sleeping area in the cabin and a kitchen area at the back. This basic set-up has the comforts that you need but doesn’t remove you from nature. My problem with camping in a tent is that I never sleep well, but I love being out in the countryside. A teardrop is the perfect solution for people like me, who want the nature experience but appreciate their home comforts, such as a comfortable bed. 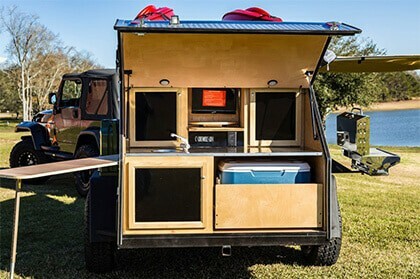 Besides being practical, some teardrop campers look amazing! The curve of the teardrop shape can be really elegant, especially when finished with a nice varnished wood. Then there are those with the stainless steel finish, that have a real 1950s feel to them. There’s no denying that a teardrop can be a real head turner. Teardrop trailers can be customized to a pretty high degree. A recent trend is to increase the ground clearance and add heavy duty tires. Providing you have a car that is equally suited to off-road terrain, then you can take your camping adventure anywhere you so desire. Not limited to roads like traditional RVs, a teardrop adventure can reach places you previously never thought possible. They’re the perfect size for a double mattress. This means you can sleep soundly, just like you would at home. There are also hundreds of options when it comes to purchasing a trailer. You can add a TV, solar panels, radio…. whatever takes your fancy. This means a trailer can be as comfortable and full of household appliances as you like. Keep it minimal or make it luxurious, the choice is yours. Continuing from the last point, the customization options make a teardrop a super convenient small camping trailer. The fact that you aren’t limited to regular campgrounds means they allow more options too. The rear galley kitchen is also a really useful feature. You can keep your kitchen fully stocked with everything you need to cook. Most teardrops are built by small businesses that have years of experience behind them. The quality of craftsmanship is usually excellent, and the best teardrop campers should last a lifetime providing they are looked after properly. Teardrops come with all sorts of extra features that you can decide upon pre-build or add on later. These features can make life more convenient and comfortable, but they’re not for everyone. Here’s a quick run-through of some of the cool upgrades you can get for a teardrop camper. There are many things within our control when out camping, but the weather isn’t one of them. Adding an air conditioner unit or small heater to a camper can make the experience a whole lot more comfortable and enjoyable. Getting away from it all is one one of the main reasons for going camping. However, some of us are big sports fans. Despite being miles from civilization, you don’t have to miss those big games after all. Self-sufficiency isn’t complete without a renewable power source. Now, a small solar panel kit can be fitted to the roof of a tiny camper. This is perfect for powering those small devices like phones, laptops, and even the TV. With solar panels installed you don’t have to base your trip around finding power sources. You can truly live off the grid. Check out our guide to solar panels and charge controllers to find out more about this technology. 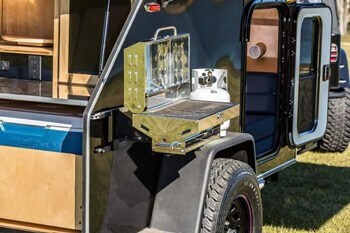 You really can’t beat a good BBQ, and installing one on your teardrop trailer is no big deal. It’s the perfect addition to a camping trip. Most teardrops are built purely for the road. However, off-road teardrops are becoming more popular. These models have greater ground clearance and feature special suspension and heavy duty tires. You no longer have to plan your trip with a road map with an off-road trailer. Looking for a sweet teardrop camper for sale? Here are some of our favorite models available to buy right now. Don’t worry if you don’t see anything that grabs you, we’ve also recommended our favorite teardrop trailer manufacturers. Get in contact with them directly and tell them exactly what you’re looking for. They’re only too happy to build you the trailer of your dreams. We’ve included contact information below. 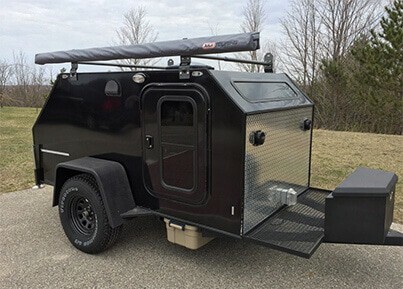 Extreme Tears are based in Michigan and specialize in off-road teardrop trailers. Their new 2017 model, the XTR, is one of our favorite off-road teardrop campers for sale right now. Built-to-last the heavy demands of off-roading, it’s also functional and comfortable. The XTR comes in 4 different options, with the cheapest option retailing at $7,995. The XTR range can be fully customized to include the features that you need most. A personal favorite of ours is the ‘Power Package’. This includes 120V shore power for times when you’re stopping over in a campground, and also a solar panel kit that can handle your energy needs when you’re somewhere more remote. The level of customization is up to you, and should you feel you need a full entertainment system for those rainy nights, then there’s the option to install a TV, DVD, and stereo system too. The XTR range are built to last and can handle the rigorous roads and trails that conventional teardrops and RVs just can’t manage. They’re sturdy, reliable, and comfortable too. If you still have lots of questions about getting a teardrop, then the best way to have these questions answered emphatically is by renting a trailer for a weekend. Most teardrop manufacturers offer a trailer rental scheme, and Extreme Tears is no different. What’s more, the rental fee is deducted from any prospective trailer purchase. SPECIAL OFFER: As a reader of Tiny House, Huge Ideas you are eligible for a $500 discount on any teardrop trailer purchase at Extreme Tears. Just enter the coupon code “Tinyhouse” when you order at their website. Oregon Trail’R produce some of the finest looking teardrops around. From retro to contemporary, they cover the full spectrum in an effortlessly stylish way. They offer three teardrop trailer options: the FronTear, the TerraDrop, and the Do-Drop. The Do-Drop is the smallest and cheapest of the three. It’s lightweight and compact, and can easily be towed by smaller utility vehicles. It’s perfect for the fisherman or hunter that needs to navigate narrow country roads and trails. There’s a 3 1/2 ft (width) version that’s ideal for single occupancy, and a slightly larger 4 ft model that can sleep two. The D-Drop is also really affordable and starts at just $5,500. Take a closer look at the Do-Drop here. The flagship model at Oregon Trail’R is the FronTear. It looks great and will certainly turn heads. The FronTear is completely customizable to your needs, and there are a wealth of customization options available. The more basic models weigh less than 1000 lbs and can be towed by most cars, but the more complex models can weigh upwards of 1300 lbs. The off-road model is the TerraDrop. This model looks amazing too, but it’s very sturdily built to put up with the bumps and bruises that off-road adventures bring. It is the same size as the FronTear but manages to have more internal space. Runaway Campers is a family owned business, based in Marion County, Florida. Runaway Campers pride themselves on the value for money their trailers offer. Their campers aren’t designed to be flashy like some teardrops can be. Instead, they focus on the basics and make sure the fundamentals are perfect. While the trailers from Runaway Campers don’t feature the distinctive teardrop shape, they are similar in size. In fact, as they don’t have the traditional sloping roof, they provide a bit more internal space. Their most basic model, the BaseCamp, retails at an incredible $2,495. This is just a fraction of what some teardrop trailers sell for. Their most popular model, the Navigator, is impressively priced too. At just $3,495 it includes A/C, a cargo rack, LED tail lights, a mounted spare tire, and more. For me, the attraction with Runaway Campers (aside from the prices) is the fact that you can put your own stamp on the trailer. You can purchase a fully equipped trailer should you wish, but alternatively, buying just a basic cabin allows you to customize the trailer yourself. They do the hard, complicated trailer build, then you dress up the cabin in any way you like. Now as you well know, eBay does not make trailers. 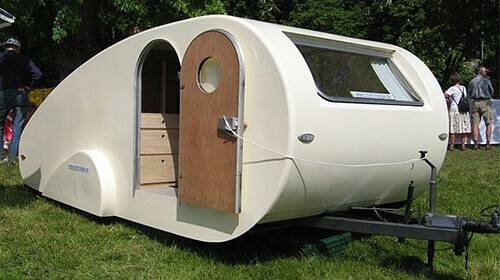 However, it does provide a great shop window for some of the best teardrop trailers available. The list below features trailers from some of the very best teardrop camper manufacturers. The great thing about buying from a seller through eBay is that you don’t have to wait on a trailer to be built from scratch. The popular teardrop manufacturers often have waiting times as long as a year. If you can’t bare waiting that long then eBay is a great alternative. Another benefit of using eBay is that used trailers are available too. Significantly cheaper than brand new builds, used trailers give more options to those on a tight budget. This list updates automatically, so if you can’t find an off-road teardrop camper for sale (for example) then check back soon. We’ve covered some of the best small travel trailers, the best value, and also the best off-roaders. This post is going to grow over the next few months, so don’t forget to bookmark us. Teardrops are a great option if you don’t want the baggage that something like an RV brings. Teardrops mean freedom and simplicity, but not at the expense of comfort. If you have any questions, we’d be happy to help in any way we can.